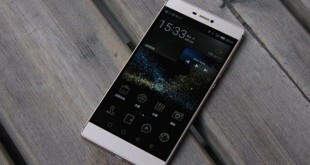 Will the Huawei P8 be an iPhone clone? The Huawei P8 release date is set for April 15, that’s tomorrow, and today a new leaked Huawei P8 poster has showed up online. The poster details the Huawei P8 in full bloom, going into the design, the specs and of course, the premium quality of the handset. From the Huawei P8 photo on the poster, we’re definitely looking at yet another attempt to thwart the iPhone 6 and 6 Plus, although thwarting might not be the best word for it. Cloning a smartphone is not cool in the industry, so we’re not going to say anything about that until the Huawei P8 is made official tomorrow. To be fair, the Huawei P8 unit in the photo can’t be called an actual iPhone 6 clone, but it does draw inspiration from it, heavily. Truth be told, that can be said about the Galaxy S6, too, although in smaller doses of “inspiration”. It seems like the metal-craze that Apple set off a few years back is coming to bite its rear as more and more companies are getting in on the premium smartphone market with much more affordable, yet just as premium devices, the Huawei P8 being a good example of that. Huawei P8 price is not mentioned on the poster, sadly, but most rumors peg it at around $350, which is decidedly less than what other companies are asking for their flagship smartphones. 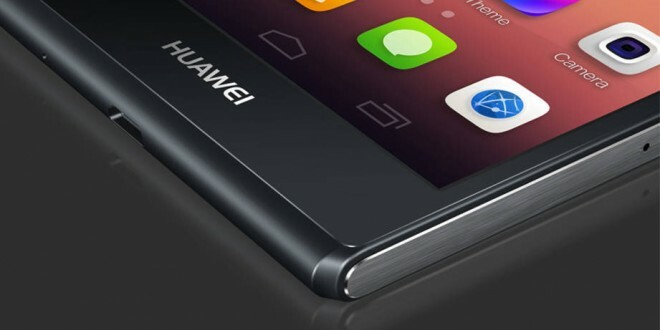 Is that the Huawei P8 or an iPhone? The wrinkled up image of the Huawei P8 doesn’t leave much out, but it does show off a nearly bezelless display on the sides, some neat thin bezels on the top and bottom. The first thing I noticed about the poster was the antennae lines on the bottom, which made me think of the iPhone 6 in less than a second I reckon. The color scheme is also really, I mean, really familiar, as it looks space gray, gold and silver-like. Since this is just a leak Huawei P8 poster, we can’t confirm that it’s real nor can we say for sure that these are the colors the Huawei P8 will be available in. 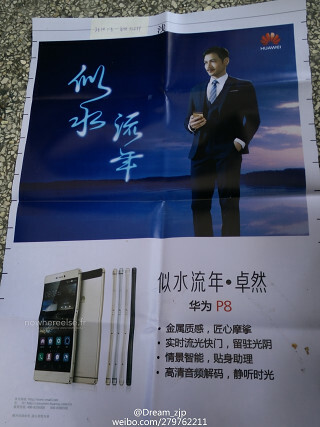 As far as leaked posters go, you can imagine that the Huawei P8 poster doesn’t reveal absolutely everything about the new Chinese flagship, but it does reveal the essentials. The specs for the beast are a HiSilicon Kirin 935 chipset backed by 3 GB RAM and 32 GB internal storage, all of that going towards a 5.2 inch FHD display. That’s not much to look at, so far, but there’s rumors about a great camera and a fingerprint sensor, so we’ll just have to wait and see tomorrow. Keep your eyes peeled for the next Huawei P8 hands on in the next couple of days! Previous Is Microsoft taking over Android in the future? Huawei and Google Partnership goes beyond Nexus devices.